A rich night time moisturiser with calming cucumber and chamomile to soothe the complexion. 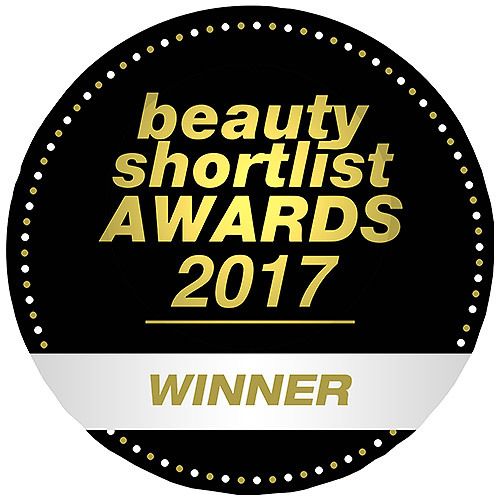 Rose hip, borage and evening primrose oils deliver deep hydration and improve skin elasticity and texture. Water (Aqua), Aloe Barbadensis Leaf Juice, Sesamum Indicum (Sesame) Seed Oil, Cetearyl Alcohol, Cetyl Alcohol, Glycerin, Ceteareth-20, Rosa Canina Fruit Oil (Rose Hip), Theobroma Cacao (Cocoa) Seed Butter, Butyrospermum Parkii (Shea Butter), Simmondsia Chinensis (Jojoba) Seed Oil, Tocopherol (Vitamin E), Persea Gratissima (Avocado) Oil, Triticum Vulgare (Wheat) Germ Oil, Oenothera Biennis (Evening Primrose) Oil, Borago Officinalis (Borage) Seed Oil, Cucumis Sativus (Cucumber) Fruit Extract, Chamomilla Recutita (Matricaria) Flower Extract (Chamomile), Equisetum Arvense Extract (Horsetail), Arctium Lappa Extract (Burdock), Urtica Dioica (Nettle) Extract, Phenoxyethanol, Benzyl Alcohol, Vanillin, Vanilla Planifolia Fruit Extract. 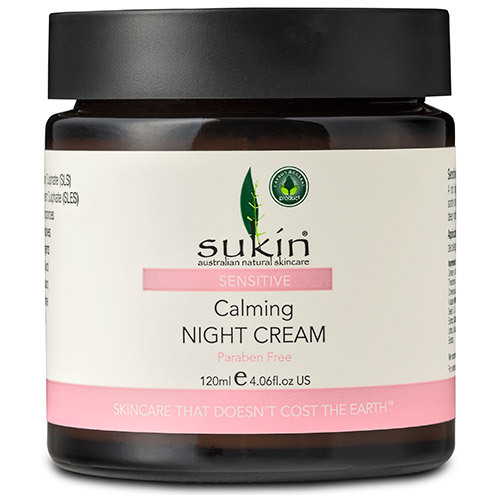 Below are reviews of Sukin Sensitive Night Cream - 120ml by bodykind customers. If you have tried this product we'd love to hear what you think so please leave a review. The cream is soft and the skin is hydrated. I am very happy with this cream. It's the first time I try this cream. My skin was looking dull tired and pasty - needed to try something different. Reviewed this product and liked what I read. Since using skin feels really hydrated, calmer and rosier in the mornings. If things continue I shall definitely reorder this product. It's definitely worth trying, plus great value for money. It's first time I've tried this cream. I bought it at a time when my face wasn't doing very well with redness, more than usual (could be these pregnancy hormones?) and I wanted something to hydrate and treat my skin. I've been using this religiously every night for the past month or so and I'm very satisfied. It doesn't 'heat' my skin but still hydrates it deeply which is what I was looking for. My skin wakes up in the morning nice and 'calm'. Natural ingredients, for large container that will last me for a while and in such a price, it has it all!